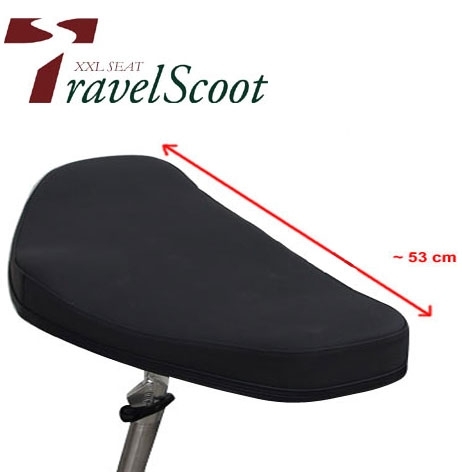 Product information "XXL seat with seat plate for overweight persons"
XXL seat for very overweight persons with very wide stature; about half a meter wide with 53 cm (10cm more than the already wide standard seat which also has ~ 43 cm width) and 28 cm deep. Only for TravelScoot drivers! Here only seat with seat plate. Related links to "XXL seat with seat plate for overweight persons"